Bus rapid transit (BRT) is expanding worldwide, particularly in Asia and Latin America. Watch it grow on BRTdata.org. Photo by EMBARQ Brasil. The BRTData.org global database of bus rapid transit (BRT) data has recently been updated, and the increased number of BRT lines, as well as the length of those lines, reflects the commitment of cities around the world to provide high-capacity mass transport to their citizens. Now, 180 municipalities have dedicated bus routes, 12 more than BRTdata.org reported in April 2014. This means there is a total of 4,668 kilometers (2,900 miles) of BRT corridors benefitting 31 million people worldwide. The growth of BRT worldwide also shows that city leaders are increasingly realizing the potential benefits of BRT for expanding sustainable urban mobility. Over the past three decades, BRT has grown from a local phenomenon to a global one. Originally pioneered in Curitiba, Brazil, BRT is the brainchild of architect, urban planner, and former Curitiba mayor Jaime Lerner. 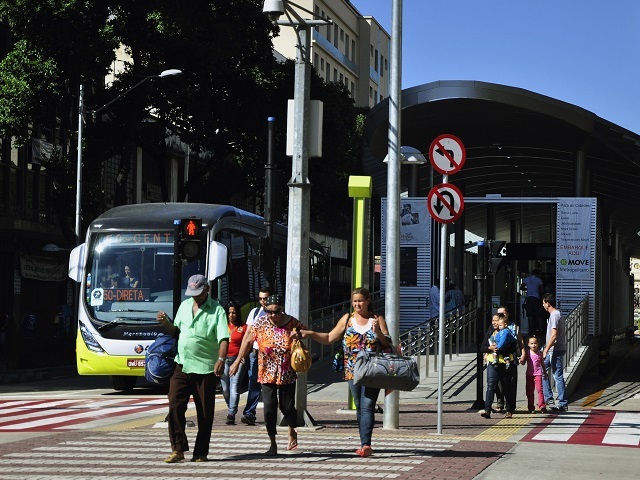 From Curitiba, BRT has expanded to 180 cities, with 363 dedicated lanes. Brazil accounts for 114 of these routes, including those built for the World Cup. Asia is emerging as the next big market for BRT, with rapidly growing cities in China and India also opting for BRT. The largest concentration of BRT systems are currently concentrated in Latin America and South Asia, however, other cities around the globe are rapidly increasing their use of flexible mass transit systems. Photo by EMBARQ. BRT has grown due its relatively low barriers to implementation and the quality of service it provides. It is a highly flexible system that combines planning, operations, communication, and technology to create a user-friendly experience. BRT is for people. Dedicated lanes allow riders to avoid congestion, gaining back to to live – not commute. Reducing the amount of time buses stay on the road also reduces greenhouse gas (GHG) emissions and increases traffic safety, while the brief walk to the stations helps users build physical activity into their days. 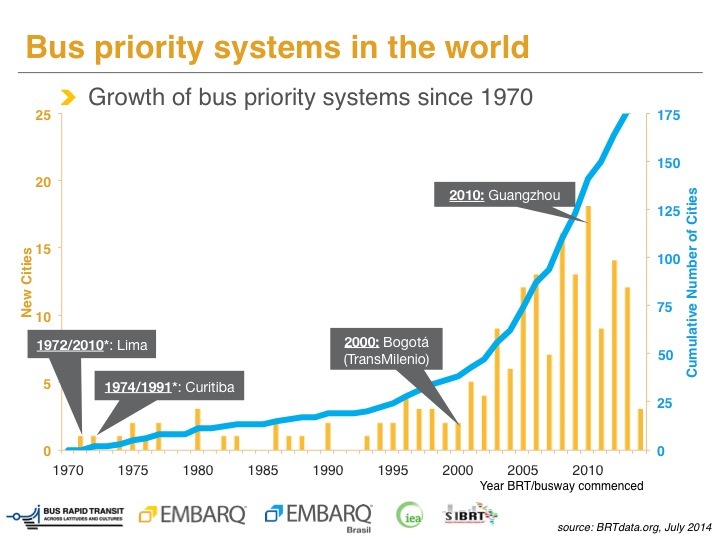 Since 1974, BRT systems have grown almost exponentially throughout the world – showing cities know a good mobility solution when they see it. Photo by EMBARQ. 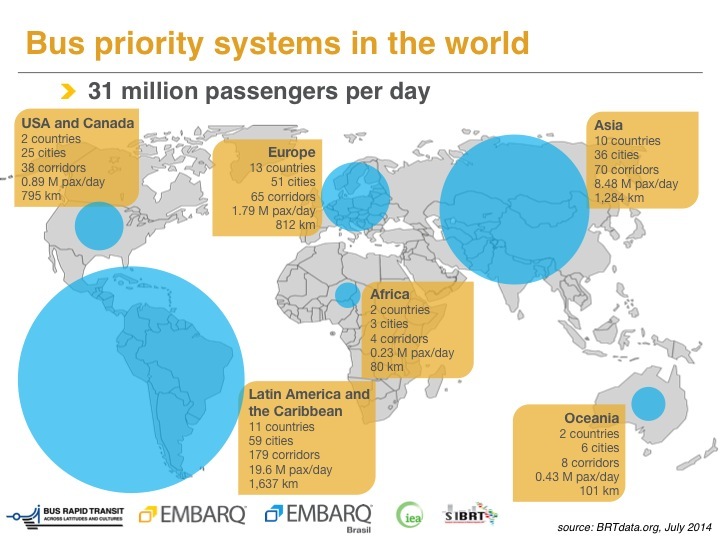 Cities currently building or expanding BRT systems include: Belém, Brazil; Belfort, Cannes, Chalon-sur-Saône, Evry and Metz, France; Chiayi, Taiwan; Fareham-Gosport, Runcorn, United Kingdom; and Guadalupe, Nezahualcoyotl, and Tijuana, Mexico. BRTData.org launched nearly two years in an effort to disseminate information on the widespread use of BRT and to help cities improve, expand, or pioneer BRT systems. BRTData.org is managed in partnership by the BRT Centre of Excellence – Across Latitudes and Cultures (ALC-BRT CoE) and EMBARQ, the producer of TheCityFix, in collaboration with the Association of Latin American Integrated Systems and BRT (SIBRT) and the International Energy Agency (IEA). This post was originally published in Portuguese at TheCityFix Brasil.